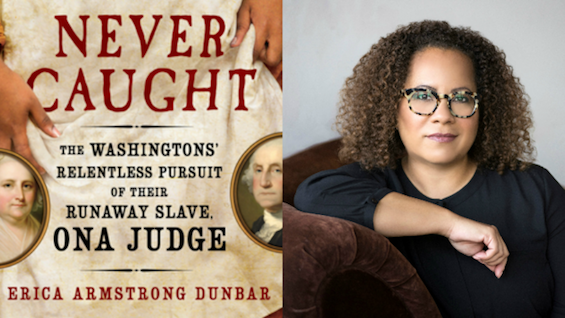 Erica Armstrong Dunbar presents a discussion based on her book, Never Caught: The Washingtons' Relentless Pursuit of Their Runaway Slave, Ona Judge. How does pursuing truth in history inform our future? Dunbar’s eye-opening narrative about a courageous black woman who risked her life for freedom sheds new light on our reckoning of a flawed nation, then and now. She will be in conversation with CBS Sunday Morning Contributor Nancy Giles as part of the 2018 John Jay Iselin Memorial Lecture. This event is part of a week-long series of events focused on the theme of TRUTH. Dunbar is the Charles and Mary Beard Professor of History at Rutgers University. She also serves as Director of the Program in African American History at the Library Company of Philadelphia. Her first book, A Fragile Freedom: African American Women and Emancipation in the Antebellum City was published by Yale University Press in 2008. Her latest, Never Caught, was a Finalist for the National Book Award for Nonfiction. Her publications, teaching, and documentary appearances have placed her among a small number of African American women scholars who study black life, culture, and gender up to the Civil War. She received her B.A. from the University of Pennsylvania, where she majored in History and African American Studies and her Ph.D. in American History from Columbia University. CBS Sunday Morning contributor, comedian, actress, and self-described "Accidental Pundette," Nancy Giles is a funny, perceptive, and provocative observer of today’s world. For over 14 years, Giles’ acclaimed work on the Emmy Award-winning CBS Sunday Morning has provided the largest audience yet for her unique blend of common sense wisdom and social and political commentary. The John Jay Iselin Memorial Lecture honors 10th President of The Cooper Union, who served from 1987 to 2000. As General Manager and then President of Channel 13, Jay Iselin was largely responsible for making Public Television a vital force in broadcast journalism, originating such programs as Nature and The MacNeil/Lehrer NewsHour. The Strand is the official bookseller at this event.